16Pcs 4 Blade CW CCW Blade Propeller Prop for JJRC H36 RC Quadcopter Parts by uptogethertek at Open Drone. Hurry! Limited time offer. Offer valid only while supplies last. High quality material and upgrade transparent paddle design paddle angle to improve flight efficiency ,it can also ensures flexibity and wing stability. - strong and light weight,easy to install and take apart. - high-end propeller, faster reaction offer high speed performance. Perfectly fit for jjrc h36 e010 mini four axis aircraft /drone/racing quadcopter. - material: pc plastic - color: black,white size chart: propeller package size(l x w x h): approx. 15*10*1cm/5. 91*3. 94*0. 39inch. 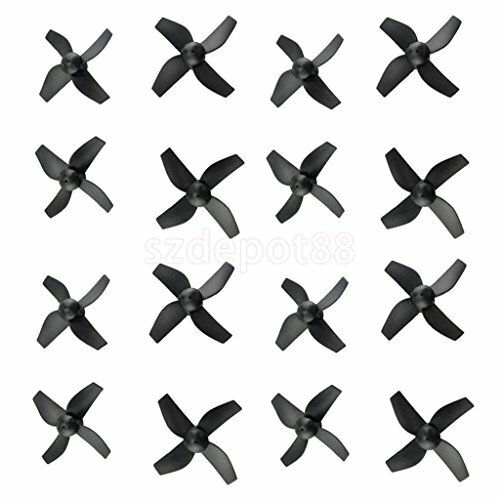 Package includes: 16 piece cw/ccw propellers for h36 e010 drone.